Soft facets give this gold filled bead a pebble-like appearance. 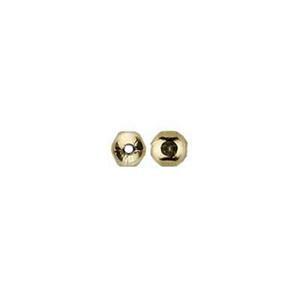 This tiny spacer bead can easily go between fancier jewelry making beads. Or, string an entire bracelet or necklace to layer on with contrasting designs for a beautiful look. Buy beads in larger pack sizes to receive the best quantity price break.